Room was freshly renovated and was very clean. View was beautiful and only steps from the water. We had an Amazing time. What a beautiful place to stay and visit. Everything was great from the location where you park to the ocean, the pool was great . Having beach services daily was awesome! This place was a great choice for us with 4 adults and 2 kids. Thanks for the great review, and I am glad you enjoyed the provided beach service. 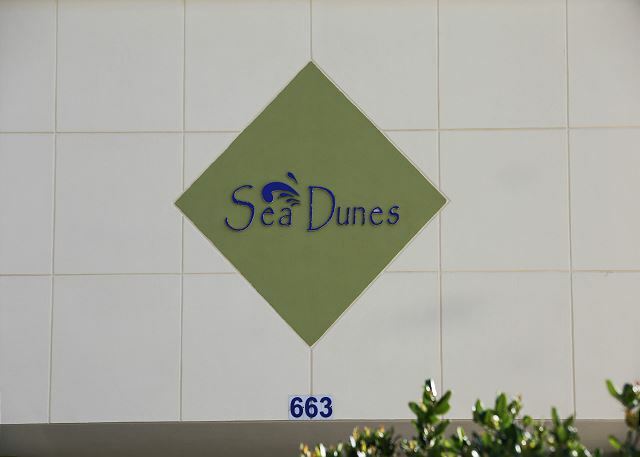 Love the Sea Dunes condo complex. This is the 2nd condo we have rented in there and it was great! Thanks for the great review. 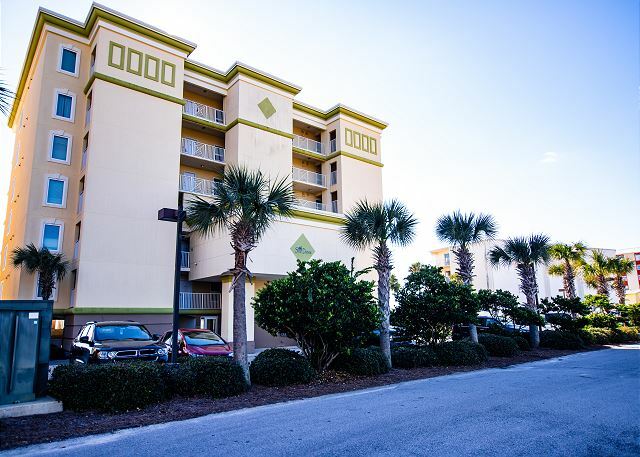 Sea Dunes is great very small condo complex right on the beach on Okaloosa Island. I hope you will be back to our unit in the future. The condo was very nice. It was right on the beach and was very clean and well kept. The only problem was that the pool was very small for the building. There was a problem with the internet, but it was promptly repaired the first day. I don't think we can do anything about the size of the pool, but I am glad we were able to get the wireless Internet issues fixed. I hope we will see you back again soon. Great condo, view & proximity to the beach. Condo was well stocked, quiet, comfortable beds, bunk room nice for kids, nice decor, oversized patio, no stairs on boardwalk getting down to the beach ( very helpful when you have a beach cart ) & no wait for elevator day of check out. Thanks for letting us know about the Wifi. I will personally head out there and do some signal checks, and see if there is anything I can do to make it less spotty. Hope we will see you back again in the future. The view was gorgeous! The condo was perfect! It was exactly what we needed and wanted for our family vacation. I'm glad you enjoyed this property, and I hope we will see you back for another family vacation in the near future. Nice, spacious condo. Fully equipped kitchen. Very clean. Would definitely return. Great porch to wake up and have coffee while gazing at the gulf and wildlife. I had an unexpected work trip to Ft Walton for a tech expo at Eglin AFB. My original plan was to stay in a hotel. But, since my wife and I had previously stayed in 2 other condos within Sea Dunes, I decided to check availability at Sea Dunes. Unit 302 was available, so I scheduled for my wife and mother-in-law to tag along with me on this work trip. We stayed 6 nights and we all were very pleased with unit 302. It is very nicely decorated and comfortable. 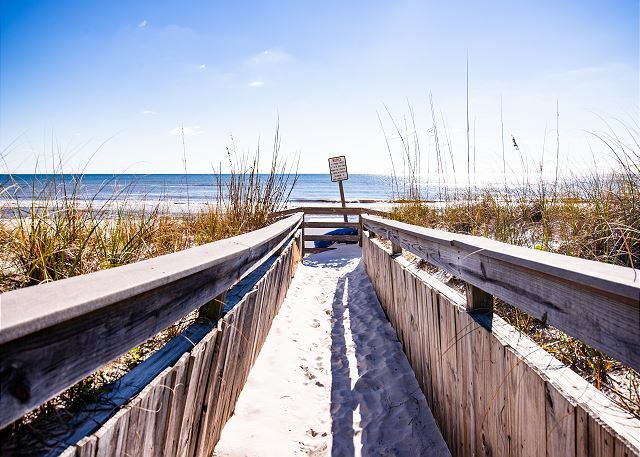 And you simply cannot beat this beach location on Okaloosa Island. It is simply beautiful no matter what time of year you visit. The property manager, Mr Cook, was very helpful and very much appreciated. My wife and I will certainly be back and always look forward to the sun and sand on Okaloosa Island! Give Unit 302 Sea Dunes a try... I think you will be happy that you did! This vacation rental was everything I expected it to be and more. It looked just like the pictures showed. Was very clean and comfortable. Great location and beautiful scenery of the ocean. Loved watching the dolphins each morning. If we ever go back, we will definitely try to rent this same condo. Very comfortable and quite condo. Clean and comfortable. The condo had a lovely view of the ocean and the beach was easy to access. It was clean and we never heard people in the other condos so very quite. We could have used a little more toilet paper and the toilet in the master bathroom ran a little bit but other than that, no complaints. When we had a problem with the electricity in the master bedroom, the maintenance man came over and fixed it while we were out. The manager and maintenance man were very nice and thoughtful. Had a great time. Condo Was beautiful. Had everything we would need. Looking forward to next year!Stacy was sweet and helpful. Thanks to Nate waves were high so Gulf was rough. But that's mother nature 🙂. The rental was even better than expected. We knew it was right on the beach with million dollar views. We did not know it would be immaculately clean, perfectly quiet and large enough for two toddlers to play around inside. The beach and pool were a short elevator or stair descent. The beach itself was powdery white with crystal clear water. The beach service was a great addition. About a mile to the west down the beach wass government land with no development. This made for an amazing running/walking area on a completely secluded beach. The pool was clean, and on only one day was there anyone other than us that used it. 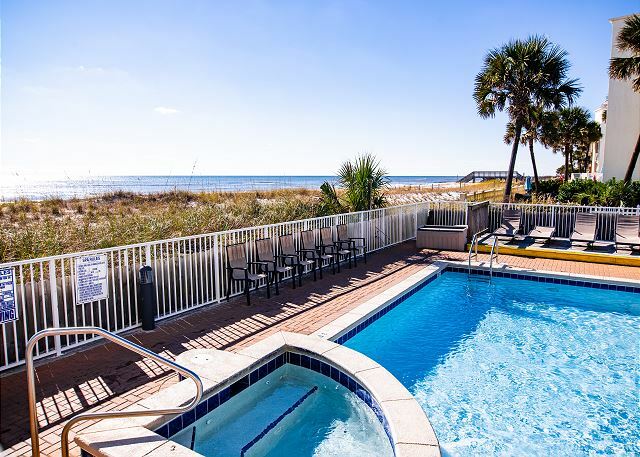 The location is close enough to Destin to enjoy the activity, but also a welcome, quiet refuge for days at the beach and quiet mornings/nights on the balcony. Very happy with the condo. Clean, well stocked and decorated. Great location! This condo is so beautifully decorated. It looks like new and has everything needed for a wonderful vacation. The white sandy beach with crystal clear water is so relaxing and enjoyable. My grandkids enjoyed nearby parasailing and zip lining and my son in law took some time out for deep sea fishing. An awesome condo in an awesome place! Tastefully decorated and furnished but sofa and love seat need replacing even thou they look good. This place was the best! Location was perfect, management was unbelievably helpful & the rooms were gorgeous! We were extremely happy with our vacation & hope to be back soon! It was a dream vacation condo, well equipped, beautifully decorated and literally on the beach. Loved it! Check-in was delayed slightly because the condo had to be cleaned again. Management standards weren't met which was good. Stacy kept in contact with both parties that were arriving prior to and after check-in on that issue. Could not reach her however regarding wifi issue so contacted David and he handled problem. We waited until Tuesday for new equipment to be installed then were good on that. Thought the bed in second bedroom was advertised as a queen but seemed more like a full. Bunk beds are in a space off the hallway (not really a "room") but fine for kids. Kitchen was very nice and had all the necessary items needed. Easy walk to pool and beach. 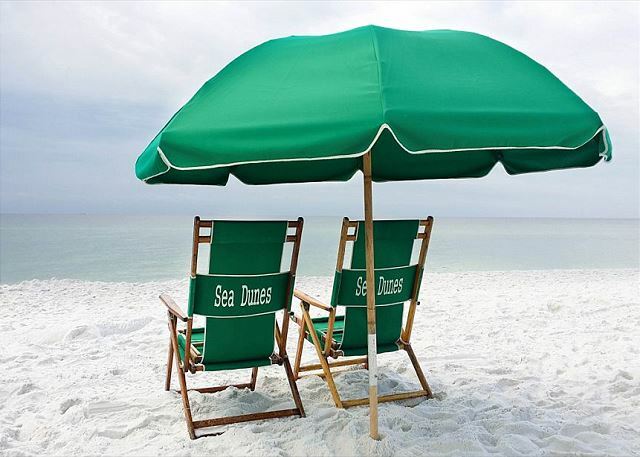 Take extra chairs and umbrella if you need more than two chairs on the beach. They are very strict about two chairs per unit. It was very relaxing sitting on the balcony watching the waves. Awesome place! Its just opposite to the beach, wonderful views. Clean condo. Dishwasher was not closing, but it was fixed. We absolutely loved everything about this place! 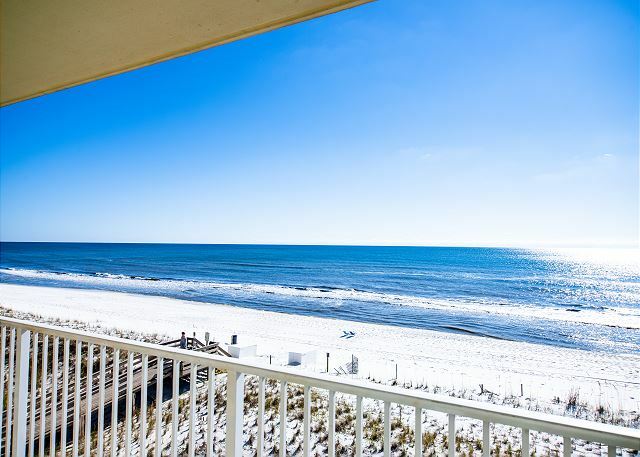 The beach, the condo, everything! The room was very clean and nicely decorated. The beach has water you can see through and sugary white sand. There are several nice places to eat close by. Outstanding Condo with all the amenities you could need. We have stayed at Sea Dunes 6 times and will continue to vacation there. Perfect location and nice condos! Awesome beachfront condo, but needs to be cleaner. We had an awesome stay, except the first night we had to wash the linens due to crusty stains. The condo was nice, but not as clean as I would like. The views were breath taking with several patio chairs and the Condo was nicely decorated. we loved our was very nicely decorated and provided us with everything that we needed. I only have one complaint...that there was just one big pot and no large skillet which made cooking spaghetti and other meals difficult. Condo was tastefully decorated and comfortable. Met all our needs. Extremely thankful for the washer and dryer in condo! Spent a great deal of time on the balcony watching the surf and the occasional dolphin. First evening we were there...Dolphins!! Location couldn't have been any better. This was our first time staying and it was above all expectations ! The condo was beautiful and the beachfront location felt like you never left the beach. We will be was perfect ! Fantastic beach. Great condo. Very easy to deal with the management. A couple of small issues with door locks. Great time, will come back. Great condo with a perfect view. Just the right size for our family of 5. Nice small condo complex with pool & hot tub. The Condo itself was very nice and well appointed and decorated. Our only disappointment was the pool was not heated even though we were told it was but we look forward to enjoying this location again in the future.